The use of WYZworks high-temperature sterilization, can comprehensive, uniform, rapid and efficient in cleaning disinfecting bacterial from tools. 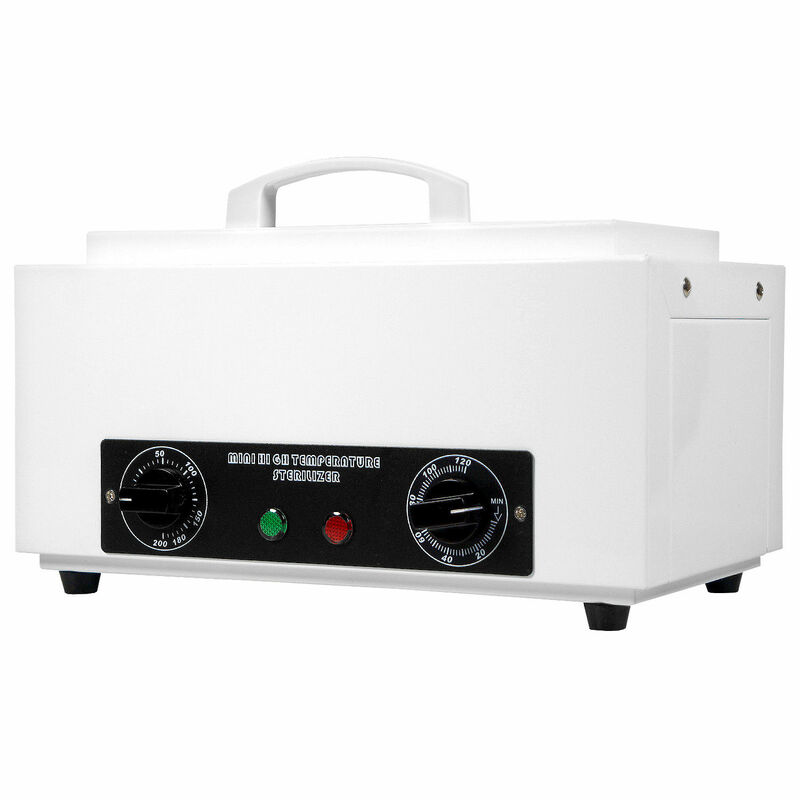 The sterilize box is the base equipment for personal use and professional shop. Suitable for beauty salons manicure tools such as disinfection, sterilization, cleaning. Measurements: 14 x 8.5 x 9"
• Best for metal tools. such as nail nippers, tweezers, eyebrow scissors and tattoo needles. • High temperature disinfecting manicure tools, use more safe and healthy. • Suitable for beauty salons manicure tools such as disinfection, sterilization, cleaning. • Convenience, no pollution, save electricity and long term usage. • The WYZworks sterilize box is the base equipment for personal use and professional shop.